Installing a new exterior door is not only a great way to add curb appeal, it’s also a great way to save energy. Doors and windows are the number one way heat escapes from your home. Installing a new door is a great way to ensure that doesn’t happen. On a scale of 1 to 5, this home improvement is a 3. It’s fairly easy to do and you probably already have most of the tools needed. So take a moment to watch this video and then grab your tools. Like it or not, winter is here! If you own an older home you know that equals drafts. The best solution is replacement windows but that isn’t always budget friendly. What you can do is protect your home with an easy-to-install window insulation film. They sell them at most stores and they drastically cut down on drafts and energy costs, saving you money. Who doesn’t like that? Winter is here and with it comes an increase in energy costs. One way to cut down on those costs is to install a smart thermostat. Whereas a typical room thermostat just lets you change the temperature in your home using a dial or control panel, a smart thermostat gives you full control over your home’s heating. Smart thermostats allow you to manage your home’s temperature based on the time of day and from a remote location, using your smart phone, tablet or desktop. Another key feature of some smart thermostats is that they learn and adapt to your behavior. Most smart thermostats will also display your real-time energy consumption and even adjust this automatically based on factors such as humidity and weather conditions. Here are 8 benefits to a smart thermostat! Now that you have all of the information, how do you install one? It’s easy with this DIY video from Home Advisor. So grab your tools and let’s get to work! Save up to 30% on energy costs with this handy infographic! Winter is coming and it’s coming fast! Temperatures are dropping and things are starting to freeze. Don’t let your home be one of them. With these helpful tips, you can make sure your home stays nice and warm all while saving energy. Take a look…. Do you like to save money? Well, you can save up to 30% on energy costs with these helpful tips! I’m not talking about color. I’m talking about lifestyle. 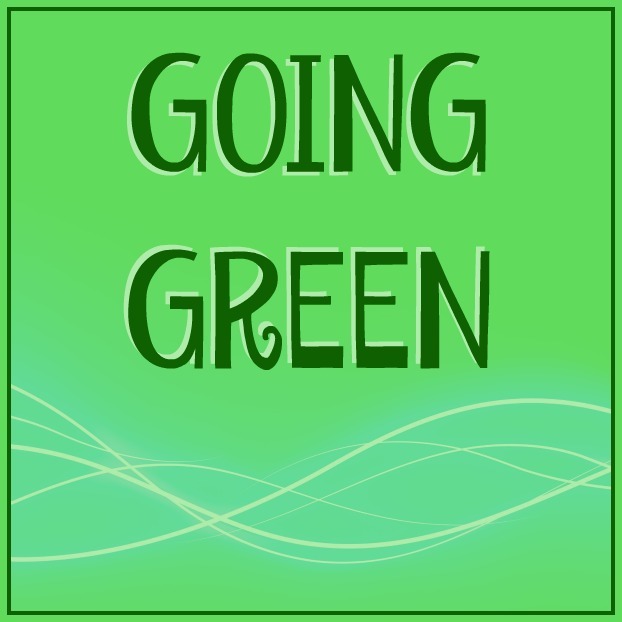 “Going green” means to pursue knowledge and practices that can lead to more environmentally friendly and ecologically responsible decisions and lifestyles, which can help protect the environment and sustain its natural resources for current and future generations. These automatically adjust for when you are away or asleep, saving you money. Not only does higher temperatures increase risk of injury, it also increases energy costs as well. Go through the house and make sure all unused lights, appliances, ceiling fans, electronics, etc are all turned off. Today’s appliances are so energy efficient. They come with ratings so you’ll know exactly what you are getting. Around windows, doors, basements, attics! Everywhere that cool air can get in and heat can escape. Also, if you have older windows, you may want to cover them with those shrinking plastic kits until you can afford to replace them. These typically use about 25%-80% less energy than traditional incandescent, saving you money and they last significantly longer! One last thing I want to include is specific for Massachusetts home owners. Have you ever heard of Mass Save? It is an initiative sponsored by Massachusetts gas and electric utilities and energy efficiency service providers. They work closely to provide a wide range of energy efficiency services to help residents manage energy use and related costs. They have rebates, incentives, tips, resources and more. There is even a place to take an online assessment to see where you could save more. It’s a great program and is worth checking out. Just click HERE! Well, that’s it for now. Stay warm! Winter is just around the corner and along with it comes cold weather and higher energy bills. No one wants to spend more money than absolutely necessary, so I’ve come up with a 10 tips for keeping your house warmer this winter. So let’s get cozy and start saving money! This will help lower your bill. It automatically adjusts for times when no one is home, like work, school or even vacation. Open all blinds/curtains and let that sun shine. There are reasons dogs and cats lay in the rays! This will keep the cold out and the heat in. You may even want to consider buying thermal window treatments. I know they boast energy efficiency. Most ceiling fans have a winter mode. Its a little switch that changes direction of the blades. Heat rises, so turing your fan on low will circulate the heat back down where it belongs. Blocked vents cause your efficiency to go way down. Go around and make sure all of your vents ( and returns ) are free from any obstructions. Go around the outside. basement and attic of your home and caulk any areas where cold air could come in. Windows, doors, etc.. everywhere. For a little help with this, see this guide from energystar.gov on sealing your home! If you are in one room a lot, you may want to consider closing that door while you are in there. You can crank the heat in that one room and it wont disperse to the rest of the house. The same thing goes for room that you don’t use often. Try closing off those rooms so its less square footage to heat. Baking and roasting are multi use in the winter. You have great food to enjoy but also reap the benefits of the oven heating the kitchen. Most of us don’t use the oven much in the summer so now’s the time to get your baking on! Wood and tile floors can be the cause of up to 10% of your heat loss. Why not throw a rug down, even if it’s just for the winter. It not only adds a nice cozy feel but it keeps you warmer too. Ultimately, it’s you that cares about being cold, not the house. Keep things like slippers and throw blankets handy. Stock up on tea and hot chocolate. Switch to flannel sheets and add extra blankets to the bed. Anything you can think of to make yourself nice and toasty. Let’s face it..no one like to be cold! Right now we are offering a Summer special. 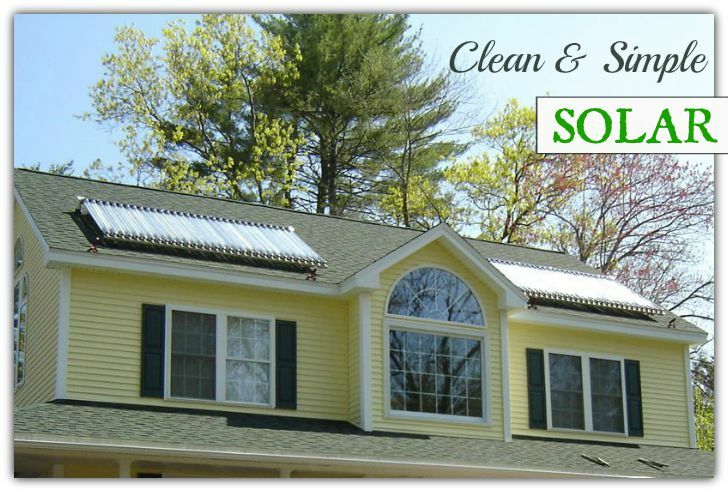 We are giving a $300 referral fee for each new contract that’s signed for the installation of a solar panel system. Do you know anyone who could benefit from this? Refer them and this could be yours! Hurry though, it’s ending soon! The rest of the world is going solar & now you can too! Do you like the idea of saving money and the planet at the same time? If you’re a homeowner, then you owe it to yourself to consider going solar. Not only will you save a bundle on your energy bill, you will add resale value to your home and be saving the environment. What are you waiting for? All maintenance included at no additional cost for the life of your contract. That includes any necessary repairs or replacements. Locked-in low rates that can be significantly less than what you pay now for your electricity. No paperwork: We will take care of all permitting and arrangements with your utility company. FYI: We also offer solar hot water panels as well. ( as shown below ) Solar water heaters can be a cost effective way to generate hot water for your home. They can be used in any climate, and the fuel they use — sunshine — is free. We also offer solar hot water panels as well. Solar water heaters can be a cost effective way to generate hot water for your home. They can be used in any climate, and the fuel they use — sunshine — is free.